If you are...I’m ready to work with you. Change can be difficult. I strive to help clients discover and develop their own personal resources to reach the goals we set together. I am an active psychotherapist and seek a collaborative relationship within which both client(s) and therapist are committed, open, and involved. Through counseling or psychotherapy individuals can generate here-and-now coping strategies and resolve past wounds. My approach may be considered eclectic or integrative because I employ a variety of techniques, including cognitive-behavioral methods, to help clients eliminate emotional and behavioral barriers to the personal growth they desire. 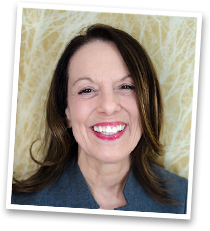 I am a fully licensed psychologist in Michigan with over 30 years of clinical experience. I hold a doctorate from the University of Illinois (1978). Prior to establishing my private practice in Kalamazoo in 1989, I provided psychological services in community and private practice settings in Illinois, Michigan, and Nebraska. I also have directed child, adolescent, and family mental health programs. I am a member of national and state psychological associations, as well as professional organizations for learning disabilities, ADHD, headache, and OCD. My office is located in the Walnut Trail Office Center building on Newport Road (between Lovers Lane and Westnedge Avenue just off of Milham Road). It is close to I-94 and many Portage and Kalamazoo locations. I am an independent practitioner. I share office space with Lindberg Counseling Services, PLC, a separate clinical practice. I schedule my appointments by telephone. Typically appointments are available on Mondays through Thursdays 8:45 a.m. through 5 p.m. Length of sessions is 45 minutes. Appointments in the late afternoon and 5 p.m. are in high demand and may not be available initially. I am often not immediately available by telephone. When I am in session my phone is answered by a confidential voicemail system. I accept checks, cash, and many credit cards. I am currently an in-network provider for many Blue Cross Blue Shield of Michigan and BCBS PPO plans, Medicare, & Priority and receive payments from other insurance carriers. Co-payments or insurance deductibles are collected at the time of each service. For those using insurance, my office will submit claims if desired. Insurance coverage can be complicated and change from time to time. Prospective clients are very strongly encouraged to contact their insurance company to determine the nature of their outpatient mental health coverage and if it will cover services with me, Marilyn J. Terrill, Ph.D., Terrill Psychological Services, PLLC. If I am out of network for a particular plan, I may be able to submit bills to the insurance carrier, but clients are responsible for their out-of-network deductible and co-pays. Questions to Ask Your Insurance Co.
- Do I have outpatient mental health benefits on my insurance plan? - If so, is there a deductible? - How many visits or sessions are allowed per year? - Are there dollar limits to the mental health services I may receive in a year or in a lifetime? - What is my co-insurance or co-pay per visit? - Is prior authorization required for outpatient mental health services? - Is Marilyn J. Terrill, Ph.D., a Fully Licensed Psychologist, an in-network provider for my plan? - If not, do I have out-of-network benefits? What is the difference in deductible and co-pay if I go to an out-of- network provider? - How can I obtain a list of in-network providers for my plan?